Buckle up everyone, this ride’s about to get a bit nerdy. Back in high school I passed the time in my math classes by programming games in BASIC for my TI-83 graphing calculator, then distributing the games to my friends so that they too could appear to be “hard at work” on their calculators during class. By the end of high school I was creating multiplayer computer games and had started up my own little online gaming community. Although my career ambitions have always been solely focused on my film/video stuff, creating online games became a fun little side hobby. Two years ago I started work on a game that is a throwback to the days of the 8-bit Nintendo Entertainment System (NES) called “NEStalgia”. 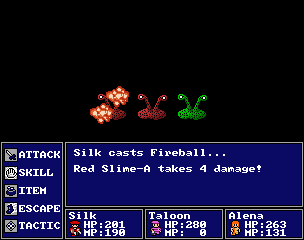 For those of you who aren’t gamers I’ll sum it up this way: NEStalgia is essentially what World of Warcraft would have been if that game had been made in 1989. 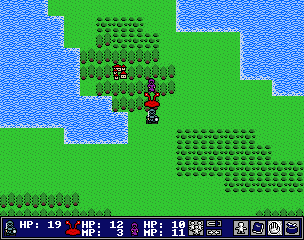 It’s a large open world that you explore alongside lots of other players, but the game’s art style and gameplay are incredibly retro. Although the concept is unique and the game is well made, I never really anticipated that it would have mass appeal. 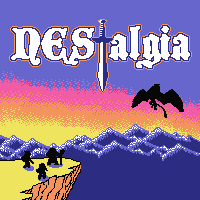 After two years of development (me laying on the couch in my pajamas coding on my laptop a couple nights a week) I finally decided to announced NEStalgia’s release to the world in February. Much to my surprise, half an hour after I emailed what were essentially my “warmup” press releases to a couple independent gaming sites, my servers started to get slammed with new players. Long story short, NEStalgia ended up getting featured on tons of main stream gaming sites, which led to tens of thousands of new logins in just the first few days alone. Game Informer, Kotaku, Destructoid, Joystiq, G4 TV etc. etc. etc… needless to say things got crazy. The game has also since been listed on Gamepro’s 37 Best Free PC Games and 1UP’s 101 Free Games of 2011. Suddenly finding myself in the role of Lead Designer and Community Manager for a popular indie game, I dropped everything else that I was working on. The first month of managing NEStalgia was a blur of scrambling to get more servers online, responding to hundreds of emails, and posting constant bug fixes. Thankfully my 24/7 work schedule didn’t go unrewarded, as NEStalgia’s optional subscription system was raking in more than enough money to cover my costs and support me full time. Anyway, that’s the story of my Spring 2011. It sure is a good thing that Macho Man Randy Savage prevented the Rapture, because I have a lot to look forward to this summer. If this nerdy tale has piqued your curiosity about NEStalgia, be sure to check out the website or the Facebook page for the game. My summer plans also include no longer neglecting this blog, so check back later for less nerdiness and more of whatever it is that I usually write about.